Heavily facelifted and packing just a 2.2-litre engine, does Jeep’s long-serving Cherokee SUV hit the spot? Sanitised looks and more powerful, 2.2-litre diesel engines mark out the facelifted version of the fifth-generation Cherokee, but, sadly, it feels like it is hopelessly outclassed in the premium segment in which it attempts to operate. Like the update of the original Fiat Multipla in 2004, and the smoother face of the revised Skoda Yeti in 2013, and indeed the visual travesty Citroen has foisted on the C4 Cactus - robbing it of all the visual character it formerly possessed - this overhaul of the Mk5 Jeep Cherokee has undoubtedly made the resulting vehicle more widely acceptable in the visuals department, but at the same time has left it devoid of soul or a clear, defined identity. Bigger, one-piece headlights replace the squinting look of its predecessor and, round the back, the number plate has moved up onto the rear hatch. However, if you mentally block out the seven-bar radiator grille, the Cherokee might as well be a generic SUV from any manufacturer, rather than one with such a rich heritage in the sector like Jeep. Even the squared-off arches look unfortunate, creating huge gaps above the tyres, even on models with 19-inch wheels. The interior is OK, as it has lots of space and a decent amount of equipment, plus a fairly snazzy 8.4-inch Uconnect 5.0 infotainment system. But the quality of the material finishing, while solid enough, is nevertheless some way off the market positioning that Jeep envisages for the Cherokee. Almost anything European and most Asian vehicles will come with nicer cabins than this, while the Jeep also has an oversized steering wheel that features clunky, hefty spokes to house multifunction switchgear. A caveat here is that, as we were driving the Cherokee way ahead of its prospective January 2019 on-sale date in right-hand-drive markets, the vehicles we tested were pre-production cars and so there is still some finessing to do before Jeep arrives at the finished article. But in short, we have to say that there's nothing knockout about the way the Cherokee looks, either outside or within. The old 2.0-litre engines are gone, replaced by a 2.2-litre diesel that was drafted into service in the pre-facelift model. It is paired to either a six-speed manual or Jeep's nine-speed automatic, with outputs of 150- or 195hp available and a choice of front- or all-wheel drive. We drove the 195hp model in both high-spec Limited and Overland trims, with an automatic gearbox and both two- and four-wheel drive. And the Jeep falls down in three main areas - the noise and refinement of its diesel engine, its slow-witted nine-speed automatic and its poor primary ride quality. Taking each of these in turn, the diesel engine - from its on-paper stats - looks like it should be lusty and potent. Figures of 195hp and 450Nm are pretty impressive in an SUV (which weighs 1,952kg as a 2WD and 2,106kg as a 4WD) and so are the claimed 0-100km/h times of 8.8 seconds for the all-wheel-drive model and 9.1 seconds for the front-driven version. But neither of them felt anything like as quick as that and, even worse, the torque curve seems to die away very soon after 2,000rpm, which means that revving the Cherokee out is an exercise in futility. Not that you'll want to much, because beyond 2,500rpm the engine sounds loud and uncouth, in a way not many modern turbodiesels still do. This unit is related to the engine in the Alfa Romeo Giulia, but it doesn't feel anything like as well suppressed as it does in the saloon. This strained power delivery couples with a recalcitrant nine-speed automatic gearbox to make overtaking a nervy affair. You floor the throttle to pass something and it takes a while for both the gearbox and the turbo to respond. The Jeep then surges forward on a morsel of its torque before the acceleration quickly turns 'thin', often leaving you stranded off the rear three-quarters of your target vehicle and nervously scanning the middle distance ahead to see if anything is coming the other way. This lacklustre transmission is also not very good at low-speed manoeuvring or initial response, so leaving junctions and merging onto roundabouts can be a very hit-and-miss affair. The FCA Group has better automatic gearboxes available to it than this, that's for sure. However, the Cherokee's biggest crime is its ride quality. It is actively poor and ill-resolved. Cruising along smoothly-surfaced motorways at a steady 130km/h at the start of our test drive, it appeared as if everything was fine. The Jeep loped along and generally evened out its body movements, suggesting the secondary-ride damping is pretty much spot on... for working at speed, that is. The discomfort came whenever the Jeep was asked to deal with big primary impacts on its suspension, testing its vertical control. Short, sharp movements and loud thumps from the underpinnings ultimately render even modest manhole cover impressions in the road as things to be avoided at all costs. Undulating surfaces saw the Jeep almost skipping up and down in the wake of the event, and that makes it feel incredibly unsettled if such a thing happens mid-bend. Pleasing and supple to travel in, the Cherokee is not. There were positives to take from the car. The rolling refinement with the engine at low revs is excellent (wind and tyre noise being minimised to great effect), the handling is perfectly fine, if rather understeer-led (and it doesn't take much to provoke it), the steering and brakes are both decently calibrated and the 4WD version dealt with a modestly difficult bit of off-roading in some style, although we don't think the Cherokee in road-going form is going to take you miles and miles into the ruggedest wilderness; you'll need the rougher, tougher Trailhawk edition for that. But overall, does the Cherokee do anything - anything at all - that is equal to or better than what you'd find in rival vehicles? The answer is no; no, it doesn't. We don't have prices for the facelifted Cherokee in Ireland as yet. And so, while we can't give the Cherokee a mark for this section of the review as yet, it does present the rather obvious problem that it looks like it will be hideously overpriced for what it is. The issue here is where the Jeep fits into the SUV marketplace. As it is considered to be bigger than the B-segment Renegade and the C-segment Compass, that immediately places it out of reach of the likes of the Hyundai Tucson, Kia Sportage, SEAT Ateca et al. It then immediately looks like it should be up against the likes of the Hyundai Santa Fe, Kia Sorento, Land Rover Discovery Sport, Peugeot 5008, Nissan X-Trail and Skoda Kodiaq, but all six of these are either '5+2s' or seven-seaters, which is not an option on the Jeep. Meaning, with a circa €50,000 list price and just five seats on board, the Cherokee immediately falls into the clutches of the premium brigade - supreme SUVs of the likes of the rivals we list below, as well as the BMW X3, Lexus NX and Jaguar F-Pace. And the brutal truth is the Jeep cannot match a single one of these for anything, save for possibly interior space. If you were put off the Cherokee by its previously beaky design, then the safer styling of the facelifted model might tempt you into a Jeep dealership to have a look at this legendary 4x4 nameplate. But, regrettably, what you will find is an SUV that has not evolved anything like far enough since it launched four years ago and which now feels miles off the pace of the leading premium SUVs. Without even a seven-seat option to redeem it, we struggle to see who is going to buy the updated Cherokee - because it's expensive compared to more competent stablemates and it's already an also-ran in the mid-sized SUV race. 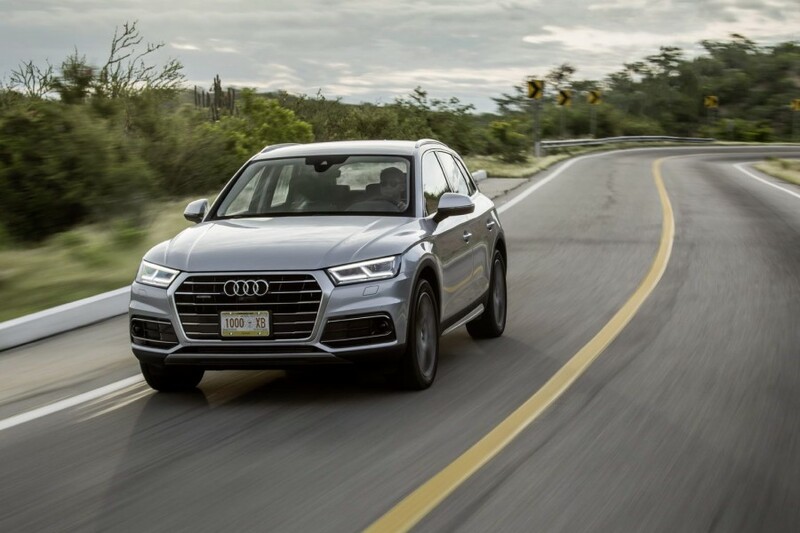 Audi Q5 vs. Jeep Cherokee 2.2 AWD diesel: not massively exciting, but urbane and immensely refined, the Audi's drivetrains and ride quality are both leagues ahead of what the Jeep is fighting with. 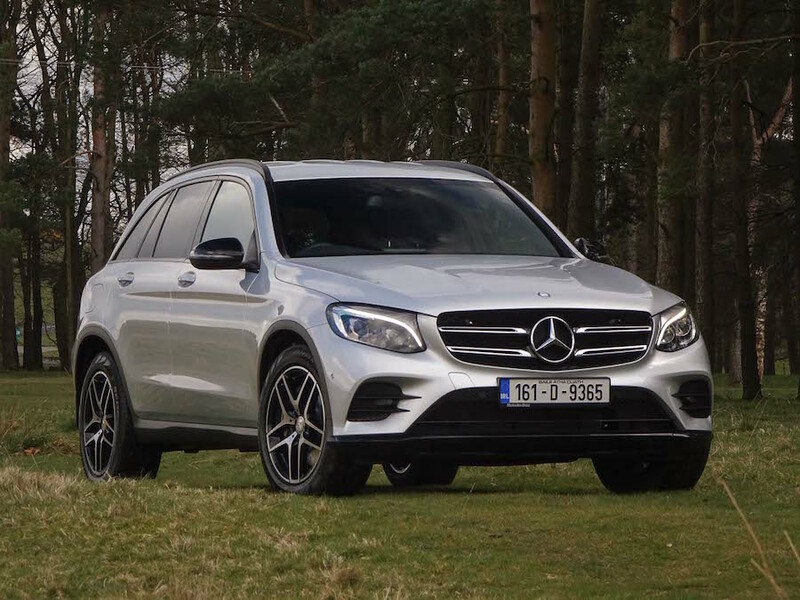 Mercedes GLC vs. Jeep Cherokee 2.2 AWD diesel: not as sharp as its BMW X3 rival to drive but, on air suspension, the GLC is simply lovely to ride in and it looks really good inside and out. And is much better than the Cherokee. 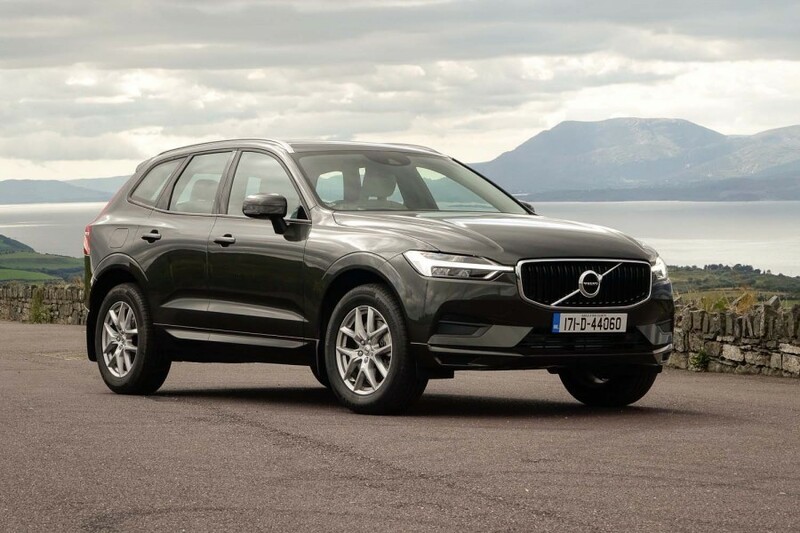 Volvo XC60 vs. Jeep Cherokee 2.2 AWD diesel: striking looks, wonderful cabin and exquisite manners mark the XC60 out as a premium SUV par excellence - and it annihilates the Jeep in every respect.